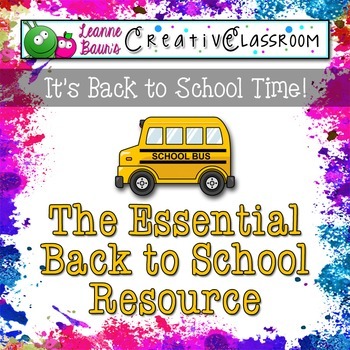 New Back to School Resource Just Posted! Check out the new resource I just posted on TpT and TeachersNotebook! Both stores have AMAZING sales running right now so I would get it before the sales expire! I hope you enjoy using it as much as I enjoyed creating it! I am very excited to use this resource with my new first graders!!! No first day of school- WHAT?!? Three Days Left...Don't Be Left Out!